The Shepherds Flat Wind Farm under construction with me in the center and my colleagues Arielle Bertman and Matthew Stepka. We look forward to joining a project with strong experienced partners such as the developer, Caithness Energy, and GE, which is an early investor in Shepherds Flat as well as the turbine manufacturer and operations and maintenance supplier. Our co-investors are Sumitomo Corporation of America, a subsidiary of Sumitomo Corporation, and Tyr Energy, a subsidiary of ITOCHU Corporation, both of which have deep experience in power projects. This project brings our total invested in clean energy to more than $350 million, including our most recent investments in a German solar photovoltaic plant and in the BrightSource Ivanpah solar power tower—the largest solar energy project in the world. We’re excited about helping deliver clean energy to the grid and we hope this latest investment encourages other companies to think about ways they can help accelerate the deployment of more renewable energy. We remain on the lookout for more projects that make business sense and will help all of us take advantage of clean, renewable energy. We recently invested approximately $100 million in the Shepherds Flat Wind Farm, anticipated to be the largest wind farm in the world. 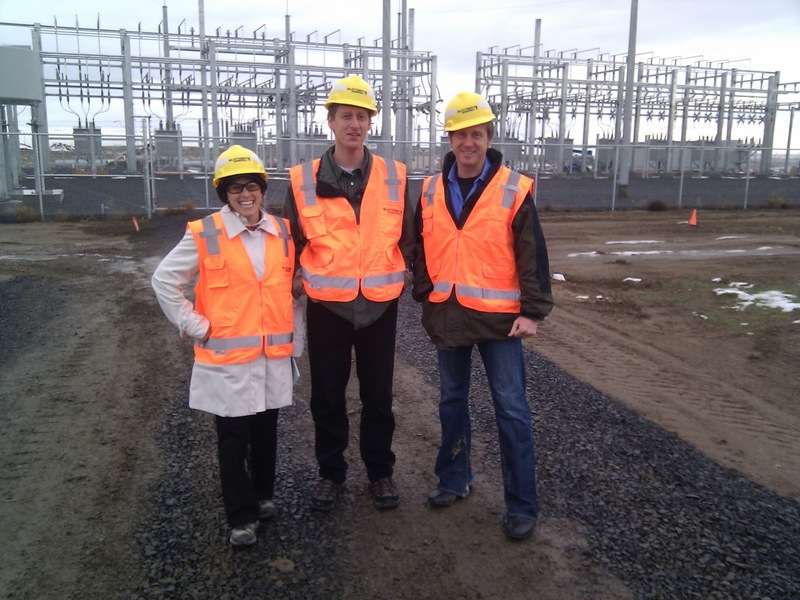 Shepherds Flat is currently under construction near windy Arlington, Ore., and when completed in 2012 will produce 845 MW of energy. That’s a lot of wind—enough to power more than 235,000 homes. This project is exciting to us not only because of its size and scale, but also because it uses advanced technology. This will be the first commercial wind farm in the U.S. to deploy, at scale, turbines that use permanent magnet generators—tech-speak for evolutionary turbine technology that will improve efficiency, reliability and grid connection capabilities. Though the technology has been installed outside the U.S., it’s an important, incremental step in lowering the cost of wind energy over the long term in the U.S.
Shepherds Flat will help Oregon continue to be one of the top wind producing states in the nation, while providing significant direct economic benefits to the state. The project will also benefit the region by helping California meet its aggressive renewable energy goals with a cost-effective and clean wind resource. The electricity produced at Shepherds Flat will be sold under long term agreements to Southern California Edison.